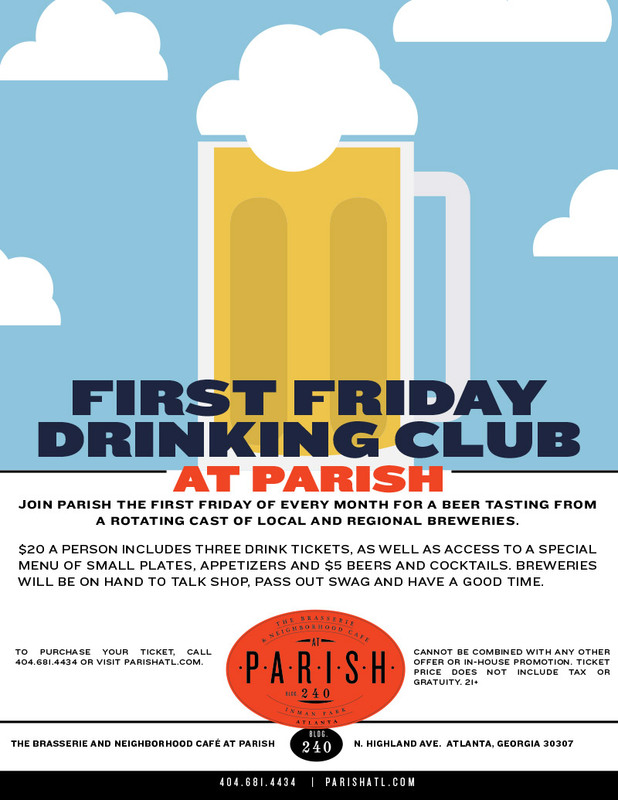 PARISH - Friday Drinking Club - June 1st! Grab your pup and head to PARISH for Friday Drinking Club!!! We will feature the French 75, the Grand Courtage Blanc de Blanc and Rose, and a French75 snowcone! Enjoy light bites for you and your pup and we will debut our new PARISH fresh Dog entree! Cost $20 and includes 3 drink tickets and light bites. Full menu will also be available. 100% of the ticket price will be donated to Project for Paws! Our new neighbors Common Companion will be onsite to discuss their veterinary services and DJ canvas will provide the beats.